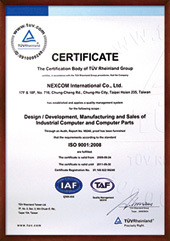 Partners should also be assured that NEXCOM's Taiwan based Headquarters and subsidiary offices in China, UK and USA have obtained ISO 9001:2008 Certification. Aim to better support the activities of all its partners, NEXCOM divides its sales force into six dedicated business units to target rapidly expanding vertical markets. This enhances each business unit concentrating on strategic channel accounts and on repeat order business. Moreover, NEXCOM's business units have been set up to serve the requirements of key project accounts, where product ODM and project support are frequently required. NEXCOM is working with embedded computing solution providers to envision new opportunities for growth. We'll help you deliver reliable vertical solutions, optimized for the next wave of IoT and Industry 4.0. Over a decade ago, NEXCOM successfully launched the PEAK series of Single Board Computers onto the IPC market, and in doing so, gained a solid reputation for product quality and innovation. In subsequent years, NEXCOM has enhanced its reputation for R&D excellence with a multitude of high-end technology products, which has cemented NEXCOM as one of the industry leaders for R&D and innovation. The mission of NEXCOM R&D team is to design exceptional products that meet the stringent requirements of today's global markets. In order to achieve this goal, we have recruited hundreds of talented engineers who have the knowledge and expertise to make NEXCOM's products stand out in this highly competitive market. 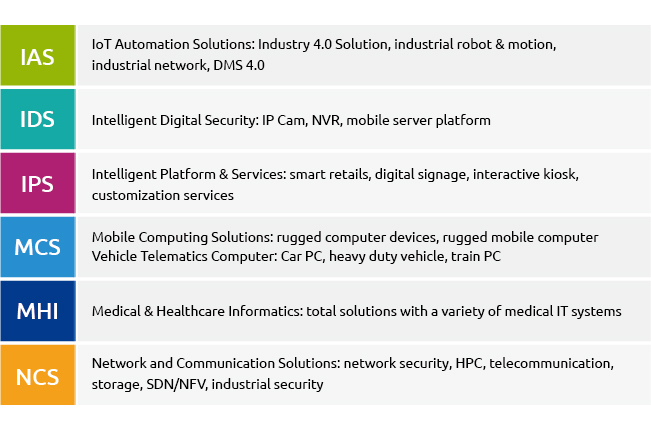 NEXCOM offers solutions for IoT gateway, robot controller, connected cars, Industry 4.0, and industrial security applications. The team is encouraged to "Think with New Ideas" and "Know how to make it and do it right first time". In addition, NEXCOM 's R&D team has been expanded to over 300 engineers with the ration of software engineers to hardware engineers coming to about 1:1, and remains as one of core competences of the company. 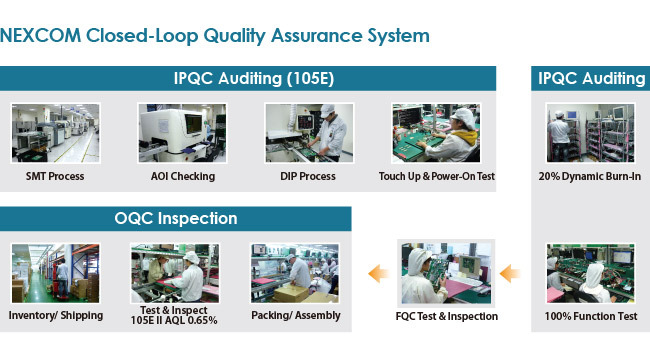 Under a strict Quality Assurance System, product design and reliability are controlled to support all critical solutions, and ensure Total Quality Assurance (TQA) implementation for all NEXCOM products and service. Furthermore, NEXCOM technical support team aims to provide feedback within 24 hours to ensure technical issues are resolved in the shortest possible time.